Taken in 1919, this picture is a group portrait of Sir Victor Goddard's squadron. In the back of Goddard, positioned on the top row, fourth from the left, can be seen the face of another man (shown in the zoom circle). It could be the face of Freddy Jackson, an air mechanic who had been accidentally killed by an airplane propeller two days earlier. 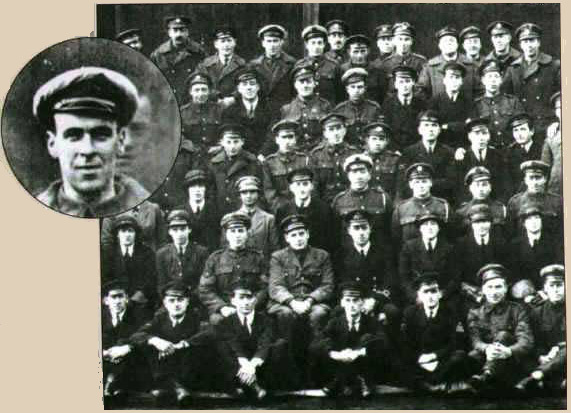 This photograph was taken the day of his funeral, and members of the squadron easily recognized his face.